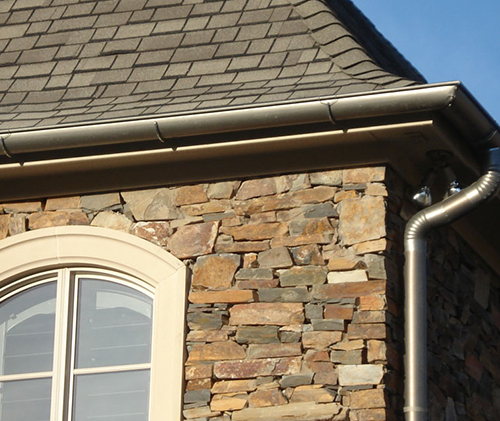 We install 5″ & 6″ seamless, half round and specialty gutter systems, custom built to fit your home perfectly. They are available in aluminum, copper, and paint grip. Need a standing seam metal roof? Look no further. A.M.S can build a custom standing seam metal roof to fit any shape and size home or building, in any color. A.M.S specializes in copper. 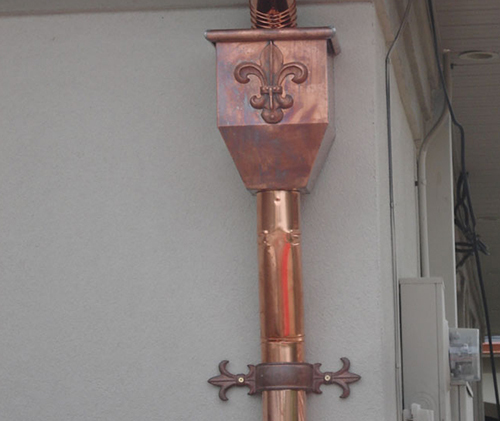 We build copper gutters, custom copper collector boxes, seamless copper roofing, as well as various other custom copper pieces. Our products are made of the highest-quality and thickest copper, brass, aluminum and iron materials. 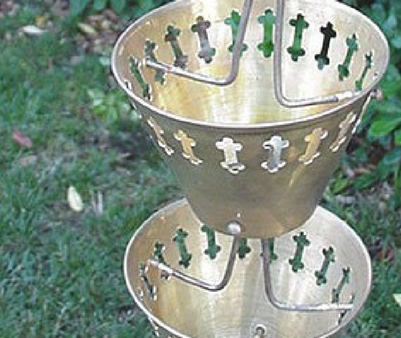 All cup styles have open bottoms for efficient waterflow even in heavy rainfall. We pride ourselves in customer satisfaction and quality workmanship. We are a family based operation that believes in doing work right the first time. We invite you to contact our references. We are members of the Better Business Bureau & Angie’s List. If you are considering our company, you can rest assured that we will treat your home as if it were our own. All of our projects are supervised for quality assurance and overall customer satisfaction. Our crews have worked with us for years, learning & adopting our high standards of respect for our clients’ property and our high expectation for quality workmanship! A.M.S. 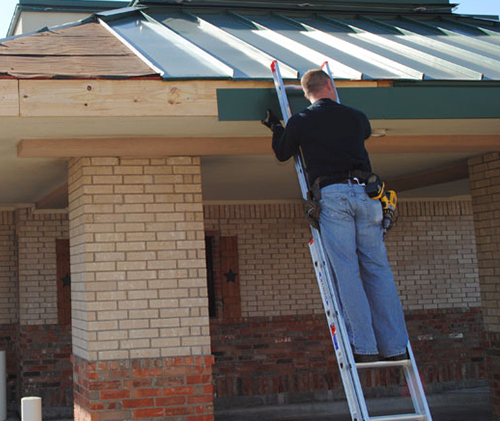 Provides various gutters services for Residential and Commercial Properties.